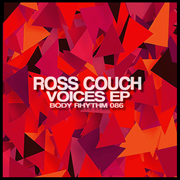 Fresh out today is my new ‘Voices EP’ (Body Rhythm 086) featuring four new tracks. There’s three original tracks here including the summer sounds of ‘Be Beside Me’, the soulful stylings of ‘Voices’ and the jazzier cut, ‘The Way You Work’ which comes complete with an additional remix from my downtempo alias, Leanbacker. Speaking of Leanbacker, I put out a new downtempo release called the ‘Shining EP’ under that name just last week on my equally new sub-label Beats Since Birth. It’s available at all the usual stores including TRAXSOURCE, BEATPORT, iTUNES, JUNO and AMAZON. Finally, be sure to check out my new remix of Mindlo & Essential-I Ft Rona Ray – ‘Diary’ on the Do It Now Recordings label out of South Africa which came out late last week on TRAXSOURCE promo. There’s a vocal and instrumental mix available for that one. 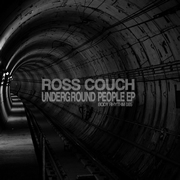 It’s time for some new music from me in the shape of the ‘Underground People EP’ (Body Rhythm 085). Good support for this one from the likes of Grant Nelson, Shur-I-Kan and Richard Earnshaw to name but a few and it’s available to buy right now at Traxsource, Beatport, iTunes, Juno and Amazon. Today sees the launch of a new compilation series called ‘Sounds Of Seduction’ on my Body Rhythm label. The 10 track release takes a look back at some the sexiest, most seductive tracks that I’ve written on the label over the years, including a few big sellers, personal favorites and hidden gems. When I first started to compile this release I ended up with a huge shortlist of tracks and it was tough to whittle it down, so I definitely envisage this being Volume 1 of an ongoing series that will come out every year or two to compliment my existing ‘Travelogue’ and ‘Summer Soundtrack’ compilations. There’s no promo period for this release, so it’s available right now at all the usual stores like Traxsource, Beatport, iTunes, Juno and Amazon. 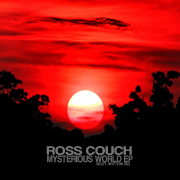 The latest fruits of my labor have just landed over on Traxsource promo in the shape of the ‘Mysterious World EP’. As always this is out on my own Body Rhythm label which, believe it or not, is now up to it’s 83rd release and still going strong! 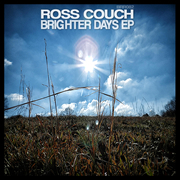 Spring is in the air and I’ve got three new tracks to fit the mood of the season on my new ‘Brighter Days EP’ which lands on Traxsource promo today. Also in the coming weeks look out for my remix of DJ Groove Ft AM2PM’s ‘Winter Dreams’ on Switzerland’s Deeptown Music and another one which will be coming out on the Do It Now Recordings imprint out of South Africa. Looking further ahead, I’m starting to put together a tracklisting for a new compilation that will come out on my own Body Rhythm label in the summer months.